President Donald Trump speaks during the general debate of the 72nd session of the United Nations General Assembly, at the UN headquarters in New York City, Sept. 19, 2017. President Trump joins dozens of world leaders in New York this week for the United Nations General Assembly, a jam-packed series of diplomatic meetings and speeches. It's no longer Trump's first time at the U.N., so the questions of what kind of impact he'll have on this world stage have evaporated. But they've been replaced by what could be a dramatic week of jockeying in a world disrupted by Trump, with both American allies and adversaries scrambling to reshape relationships and fend for themselves. It's also a world largely more peaceful, but torn apart in different regions by civil wars and ethnic violence, with humanitarian crises and the largest number of displaced people and refugees at any time in recent history. World leaders and international organizations will be pressed on how to address these challenges effectively, if they can. Trump's "America First" foreign policy has reshaped many relationships across the globe, including some of the U.S.'s decades-old alliances. 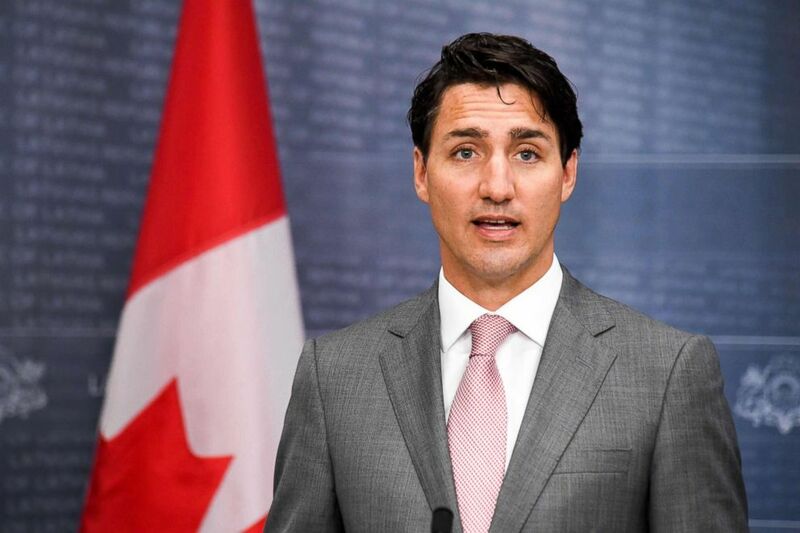 Canada's Prime Minister Justin Trudeau addresses a joint press conference with his Latvian counterpart following their meeting in Riga, Latvia, July 10, 2018. While the demands Trump has made of NATO members to pay up have been a longstanding U.S. concern, his rhetoric towards those countries and his expressed doubts about the alliance's common defense have unnerved European allies. His treatment of friendly leaders like Canadian Prime Minister Justin Trudeau, who he has called "very dishonest and weak," and German Chancellor Angela Merkel, who he has criticized on everything from trade to immigration, has undermined America's relationships with those countries. But it's also his policies that have opened divisions, in particular with western countries. Since last year's General Assembly, the withdrawal from the Iran nuclear deal, the cuts in aid to Palestinians and recognition of Jerusalem as Israel's capital, the tariffs on aluminum and steel, and most recently the threats to the International Criminal Court have been fiercely opposed by Europe and Canada. "Other U.N. member states no longer look to the United States as a natural leader, or even a reliable partner," according to Stewart Patrick, a senior fellow at the Council on Foreign Relations who served in the George W. Bush administration. "They have tired of Trump's my-way-or-the-highway act and are increasingly hitting the road -- or looking to China to fill the vacuum left by the U.S. retreat." That doesn't necessarily mean Trump will be unwelcome at the U.N., analysts say -- just maneuvered around. "It's very unlikely to see many people confronting President Trump. You are likely to see many people thinking of ways to undermine President Trump because they think that the approach that the U.S. has articulated isn't going to take the world in the direction it needs to go," said Jon Alterman, a senior vice president at the Center for Strategic and International Studies who also served at the State Department under Bush. For example, French President Emmanuel Macron and Japanese Prime Minister Shinzo Abe are meeting with Iranian President Hassan Rouhani despite Trump's calls to isolate Iran. After failing to keep Trump in the nuclear deal, they are still looking for ways to salvage the accord and engage Iran diplomatically and economically, even as U.S. sanctions loom. 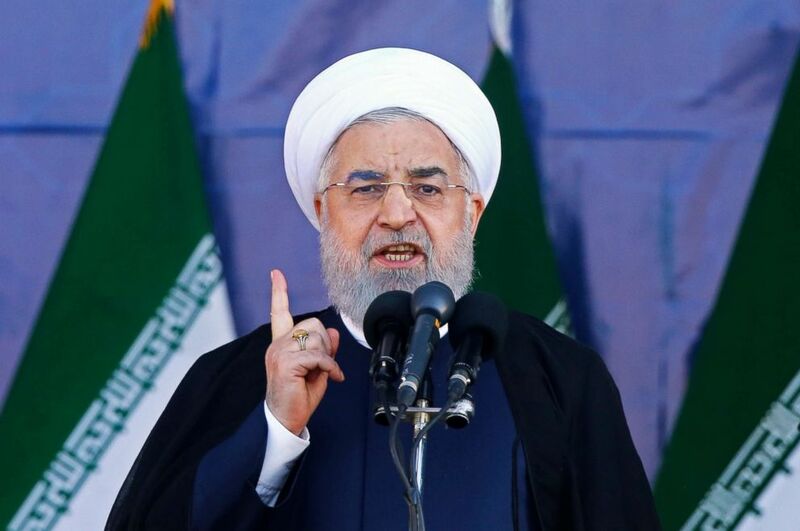 Iran is clearly on the president's mind as he heads into the week, tweeting Friday that he would chair a special U.N. Security Council meeting about the country, even though the administration says it will actually be broadly focused on nonproliferation. A draft concept note for the meeting obtained by ABC News makes no direct mention of Iran, saying the meeting instead will be about how "to counter the spread and use of the world's most dangerous weapons." Iran's President Hassan Rouhani speaks at a military parade marking the 38th anniversary of Iraq's 1980 invasion of Iran, in front of the shrine of the late revolutionary founder, Ayatollah Khomeini, outside Tehran, Iran, Sept. 22, 2018. That's something that the U.S. and its allies no longer agree on entirely. As Security Council permanent members, France and the United Kingdom will be in the meeting, but along with Germany, they continue to support the Iran nuclear deal as the best way to prevent Iran from obtaining a nuclear weapon. Trump withdrew from the agreement in May and has begun an economic pressure campaign to drive Iran to the negotiating table again. 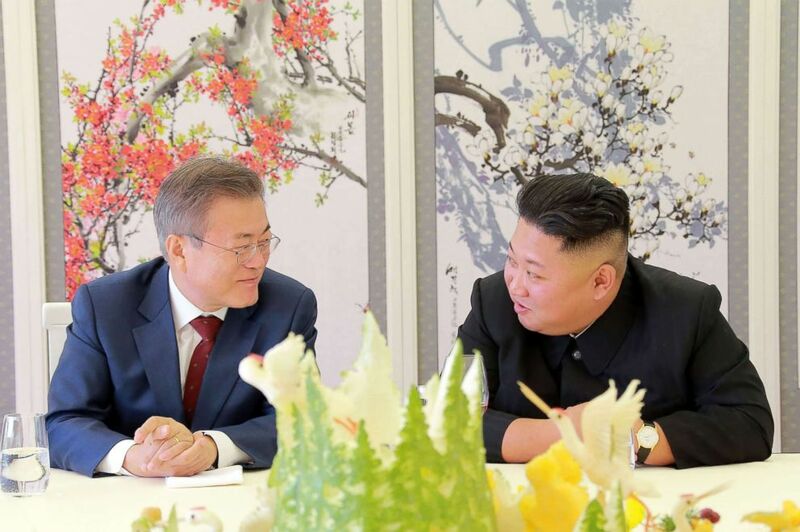 The world's attention will also be focused on trying to solve several humanitarian crises, from Myanmar to Yemen and Syria to South Sudan -- each the focus of at least one major meeting. 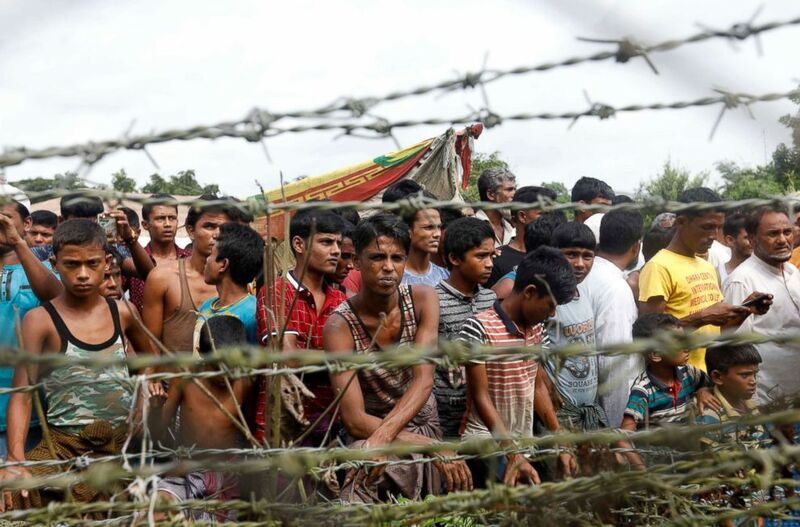 Rohingya refugees gather near a fence at the 'no man's land' zone at the Bangladesh-Myanmar border in Maungdaw district, Rakhine State, western Myanmar, Aug. 24, 2018. But the world's worst humanitarian crisis is in Yemen, and there will be several meetings to coordinate the response to the horrors on the ground -- famine, a cholera outbreak, and displacement, let alone the violent war. After the U.N. Special Envoy Martin Griffiths tried to convene a peace meeting but failed to get the Houthi rebels to attend, it's unclear where the diplomatic push stands. A worldwide crisis, the drug addiction epidemic will also be addressed, with Trump hosting a special meeting called "Global Call to Action on the World Drug Problem." One hundred twenty-four countries have already signed up to support the agenda, according to the Associated Press.